Pour smoothly and cleanly every time with Southern Homeware’s Stainless Steel Free Flow Hinged Flip Top Pourer Spout Stopper! 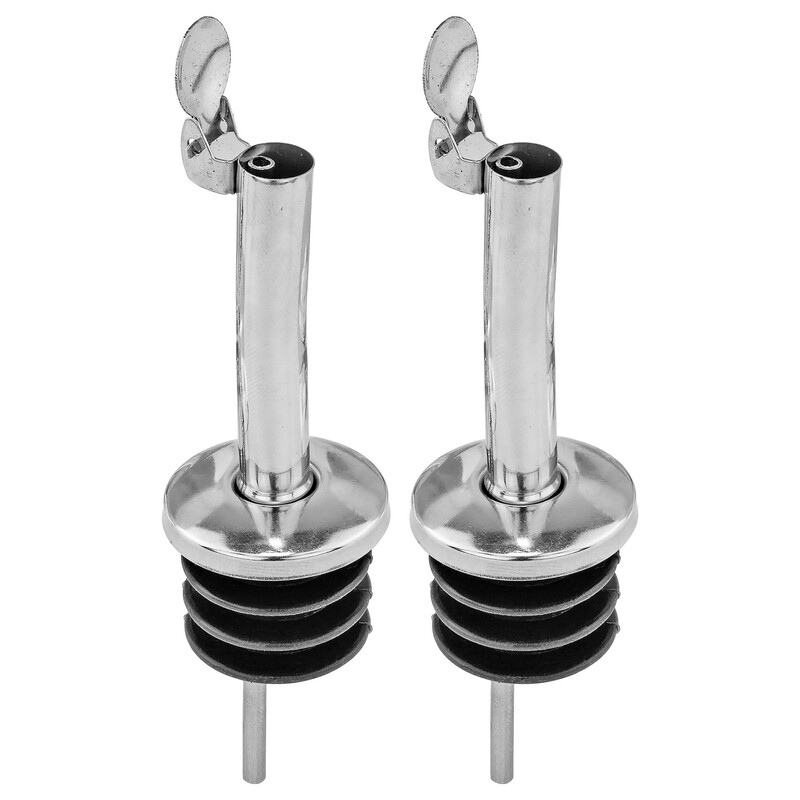 Perfect for wine, liquor and oil bottles. Southern Homewares brand hinged flip top pourers are the perfect solution to aide in your pouring needs! Place onto wine bottles, liquor bottles and oil bottles to create a smooth stream when pouring. Not only do they ensure you get precise flow control, they also help prevent those unwanted drips and spills. Commercial grade construction utilizing stainless steel and high quality durable rubber gaskets means these pourers will be able to stand the test of time and keep you easy pouring for years to come. Comes in pack of 2. Overall dimensions: 3.8” x 1” x 1”.